Our culture is inundated with personal narratives with the popularity and surge in blogging. Every one of them requires an audience. As readers, we are forced to make decisions about which narratives are worth our time. Waking Up in Heaven by Crystal McVea and Alex Tresniowski is a personal narrative of McVea’s experience for the nine minutes when she had no pulse and stopped breathing. In the last few years there have been several stories published that share people’s near death or death experience. McVea goes beyond her death experience and fills in the background with her traumatic, tumultuous childhood. This gives her narrative validity and could be helpful to women who are victims of sexual assault, child abuse, and demonic backgrounds or have had abortions. She brings a message of healing and presents it in the context of the love God showed her when her breathing stopped. McVea’s story is interesting; but her husband, Virgil, captivated me. This man is a picture of the popular saying, “What would Jesus do?” Virgil lived his life as Jesus would and his calm, sensitive spirit was truly inspiring. I was also amazed at how well-adjusted McVea’s two oldest children were. In spite of having chaotic lives as young children they seem to be delightful young people – another testimony to the power and love of God. I would recommend this book especially to anyone who is hurting and feels ashamed because of something that happened in their past. McVea’s clear message is a message of redemption and God taking our unworthiness and making us beloved, cleansed children. I received this book from the publisher in exchange for a review. All opinions expressed are my own. My name is Crystal McVea and I’m an Oklahoma schoolteacher and mother of four (those are my precious twins Micah and Willow, on the left in the photo above). On December 10, 2009, I was in the hospital being treated for pancreatitis when I stopped breathing. My face turned a dark shade of blue, then black. My mother screamed for help and a nurse tried to revive me… to no avail. Today, I don’t remember what happened in that hospital room during the nine minutes I was unconscious and unable to breathe on my own. I have no memory of the panic and the rushing nurses and the loud cries of “Code Blue.” I simply remember drifting off into a deep sleep. And I remember waking up in heaven. For most of my life, I felt utterly broken and beyond the reach of God—if there even was a God. I was a sinner and a skeptic who kept asking God to prove to me He was real. Then came December 10, the day that changed everything. 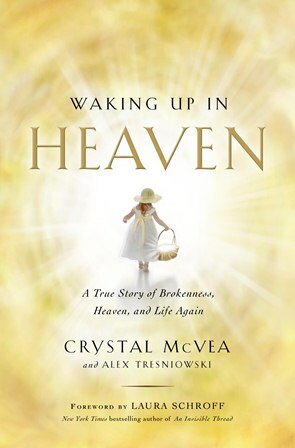 My book, Waking Up in Heaven, tells the story of God’s relentless pursuit of a life that was shattered and seemingly beyond hope. It is a story of love and forgiveness and redemption, and of the healing power of God’s presence. I hope you will go on this journey with me and take to heart my book’s simple message—that God is real, and heaven is real, and God’s love for us is the realest thing of all. "But God, being rich in mercy, because of the great love with which He loved us, even when we were dead in our trespasses, made us alive together with Christ." 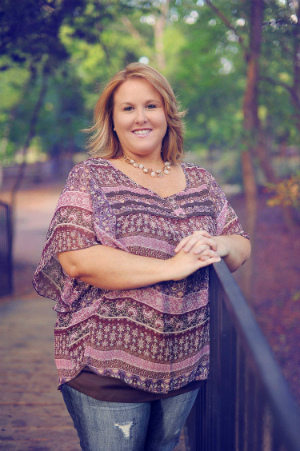 Crystal McVea is a schoolteacher with a great husband and four great kids and a really nice life in rural Oklahoma. She is an ordinary person who had something miraculous happen to her on December 10, 2009. That’s the day she died and stood with God. Waking Up In Heaven is the story of that miracle.